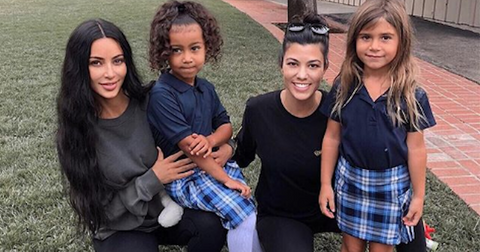 Thanks to the Internet, accusations of theft don't just get swept under the rug anymore. It's true that most ideas come from somewhere or were inspired by something, but we don't typically expect iconic characters to be blatantly copied from other source material. As our grade school English teachers taught us, plagiarism is bad, and copying and pasting paragraphs from Wikipedia is a surefire way to flunk the class. So, why do screenwriters, animators, and directors think they can get away with it? Although the line between "homage" and "stealing" is always going to be blurry, these examples are just too obvious to ignore. One of Disney's first original animated movies isn't quite so original after all. We all know the story of The Lion King. 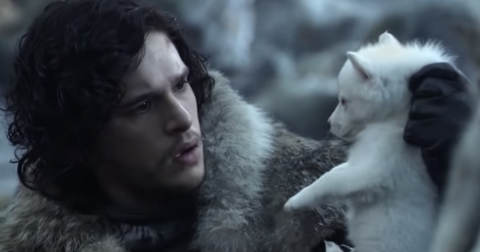 In it, Simba, a cub and heir to the throne, loses his father and must overthrow his evil uncle to obtain his rightful position as king of the jungle. 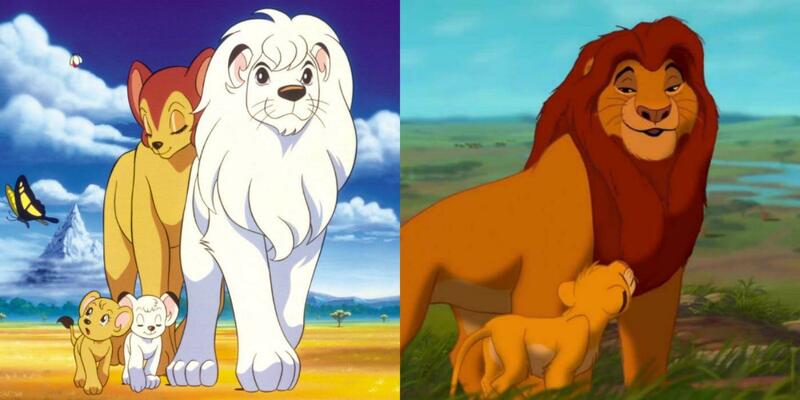 In Kimba the White Lion, an anime from the '60s that only your parents probably remember, a cub named Kimba loses his father, talks to his dead mother in the clouds, and also learns how to be king of the jungle. Hmm, sounds awfully familiar. Even the names are kind of a dead giveaway. 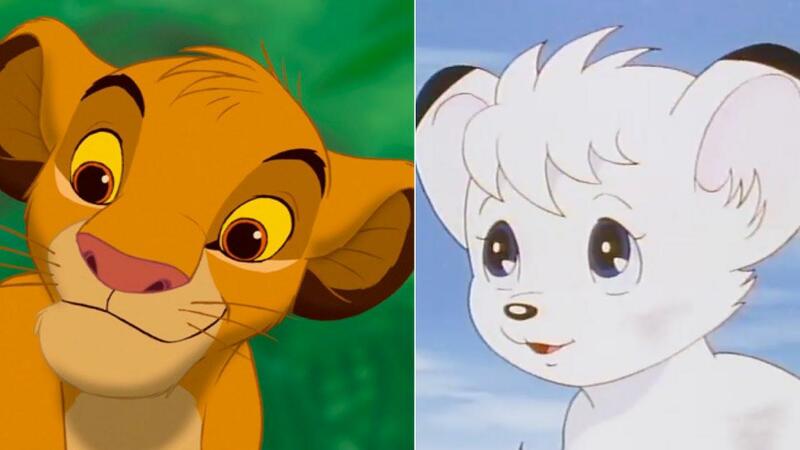 Although Disney said they had no knowledge of Kimba and insisted that The Lion King was actually inspired by Bambi and Hamlet, animator Tom Sito revealed at least some Disney animators were aware of Kimba. "One of the animators found a manga comic book of Kimba’s with a setup that kind of looked like Pride Rock, and I remember he was like showing it to us, and I was like, ‘Wow, that is really close to ours, yeah,'" he told HuffPost. "But I think it was never more than an amusing coincidence." 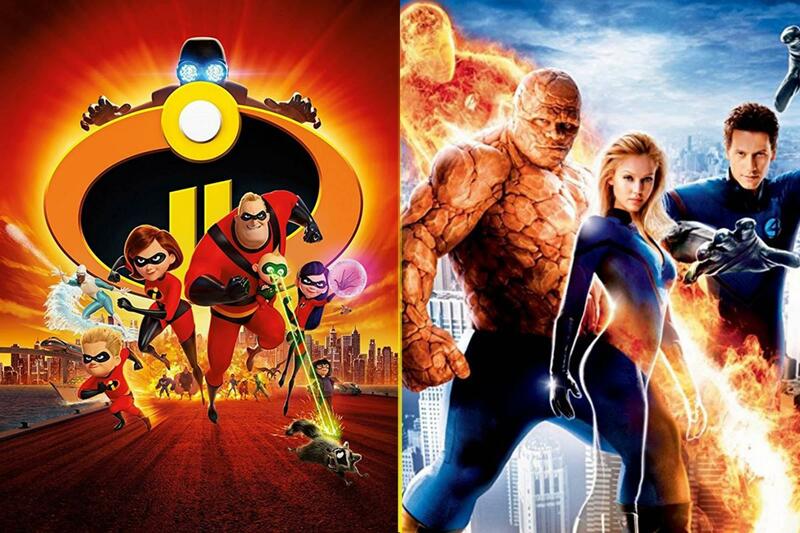 It's no secret Pixar's The Incredibles has a ton of similarities with Marvel's Fantastic Four. In The Incredibles, Mr. Incredible is large and strong just like Fantastic Four's The Thing, Elastigirl can stretch just like Mister Fantastic, and Violet has the power of invisibility, just like the Invisible Woman. In fact, the similarities are so obvious, Honest Trailers dubbed it "the best Fantastic Four movie ever made." Although it's considered one big joke between the two fandoms, Pixar hasn't been accused of any serious allegations of thievery. However, if you ever wanted to ignite a passionate debate at a boring dinner party, simply ask everyone, "Which is better, The Fantastic Four or The Incredibles?" and watch people go at it. Shawn: I am a psychic. Gus: We work for the Santa Barbara police department. We solved over 47 cases. 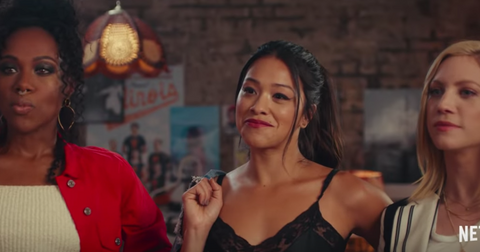 Shawn: You've seen The Mentalist, right? It's like that. 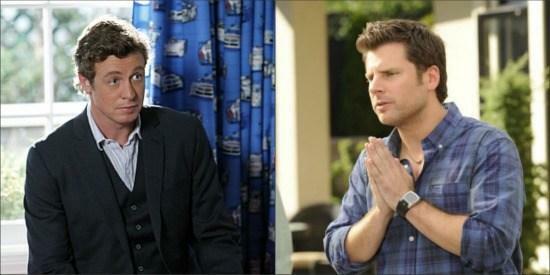 Shawn: Right, cause if I was a fake psychic it would be eerily similar. However, fans of The Mentalist have pointed out both shows are inspired by Sherlock Holmes, hence the similarities. Although Toy Story is easily one of the best animated films of all time, a similar film by Jim Henson came out ten years before it. In The Christmas Toy, Rugby the Tiger feels insecure when his position as "favorite toy" becomes threatened by the arrival of a newer, cooler toy. Sound familiar? The Christmas Toy even has a character similar to Toy Story's Buzz Lightyear: Meteora, Queen of the Asteroids. She too doesn't know she's a toy and thinks the other toys are aliens. 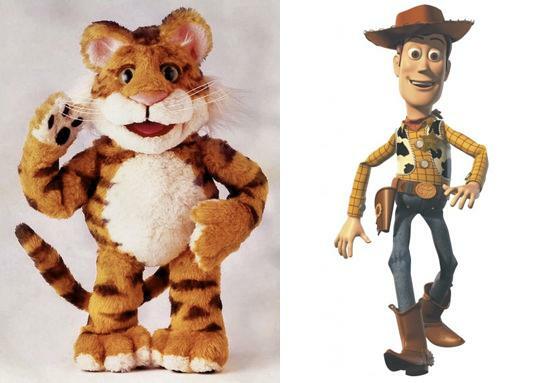 Although most people don't remember The Christmas Toy, that hasn't stopped Internet sleuths from accusing Pixar of blatant plagiarism. 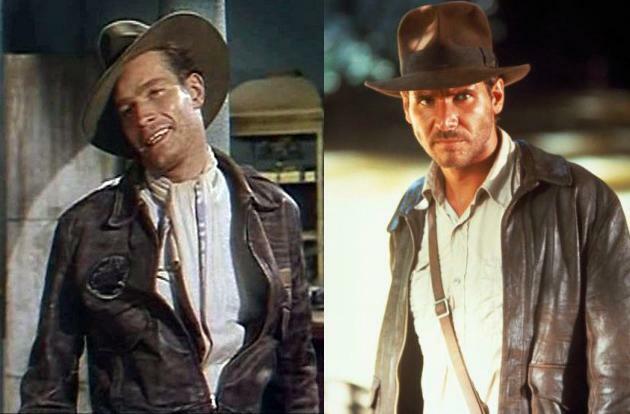 In the 1954 flick Secret of the Incas, Charlton Heston played a cocky adventurer who had stubble and liked to wear fedoras, much like Harrison Ford's iconic character Indiana Jones. And no, it wasn't a coincidence. Costume designer Deborah Nadoolman Landis, who worked on Raiders, told Entertainment Weekly she and her team watched Secret of the Incas multiple times. Even more baffling: both films were produced by Paramount, but Secret of the Incas was never released on home video. According to conspiracy theorists, Paramount intentionally tried to bury Incas because they thought Indiana Jones was a better character. If true, that means Incas is technically an unofficial prequel to the whole franchise. Crazy, huh? You definitely remember Pixar's smash hit movie Monsters, Inc, which was about a bunch of monsters who lived in a world that was connected to children's beds. Well, another movie that came out more than a decade earlier was awfully similar. 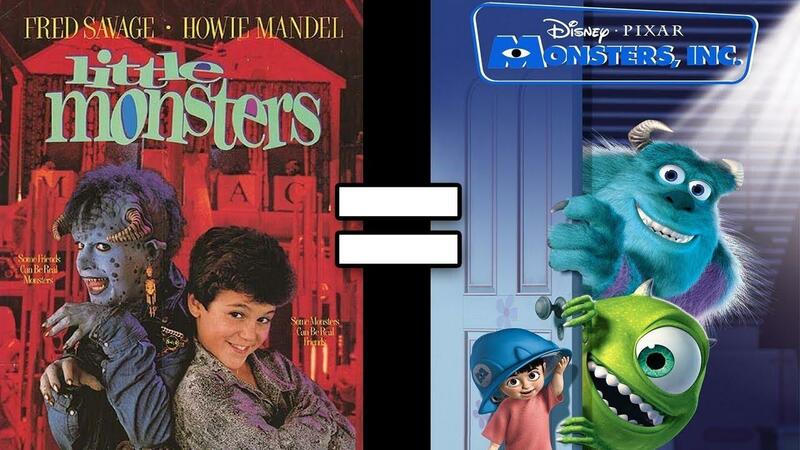 In 1989's Little Monsters, a live-action film with Fred Savage and, weirdly enough, Howie Mandel, a boy discovered that monsters lived in a world under his bed that connected to other children's beds. The characters in the movie were quite different from those in Monsters, Inc., so at least Pixar changed that, but it's obvious where they got their inspiration. A lot of classic Hanna-Barbera cartoons were blatant rip-offs, but the most notable one is The Flintstones. 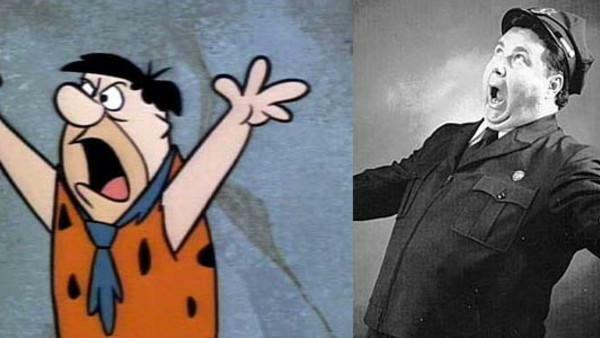 All four major characters on the cartoon, especially Fred Flintstone, are similar to the blue collar couples depicted in the 1950s sitcom The Honeymooners. Even co-creator William Hanna admitted he was a huge fan of The Honeymooners; however, he wasn't happy when people accused him of ripping off the show. Fortunately, since The Flintstones was a cartoon, it was different enough to avoid being called a direct copy. Plus, Jackie Gleason, creator of The Honeymooners, was wary of the negative backlash he would receive if he sued a cartoon. "Jackie's lawyers told him he could probably have The Flintstones pulled right off the air," Henry Corden, voice of Fred Flintstone, said. "But they also told him, 'Do you want to be known as the guy who yanked Fred Flintstone off the air? The guy who took away a show so many kids love, and so many parents love, too?'" Mortal Kombat might've been a classic fighting game that popularized video game violence, but it was also weirdly inspired by the 1986 cult film Big Trouble in Little China. 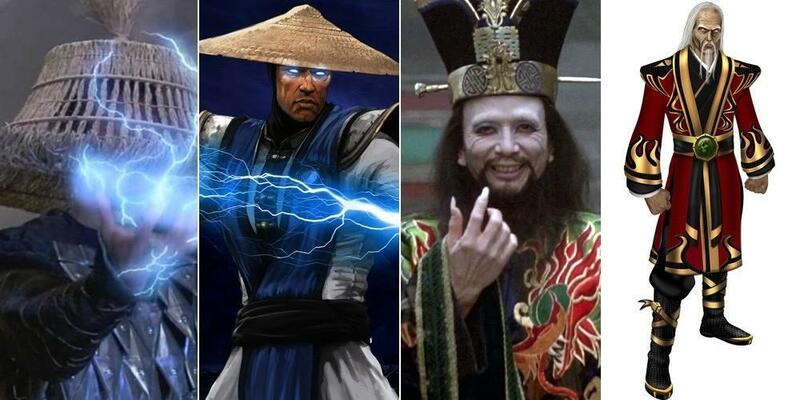 In fact, two characters in the video game, Raiden and Shang Tsung, were both inspired by similar characters in the film. However, game designer John Tobias said the resemblance was an homage, not a rip-off. "People point to John Carpenter's Big Trouble In Little China, which has a few real obvious influences," he said back in 2012. "But for me, I was just paying homage to that film, which still is one of my favorites."